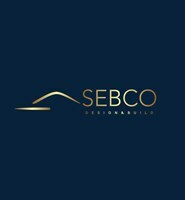 SEBCO Design and Build is a family run building (Builder) and construction business operating in London and the surrounding areas. The company initially focused on high quality decorative works and we have evolved a great deal since then. We aspire to provide a quality, stress free service working together with you, with architects and structural specialists to bring together your envisioned dream home. What has contributed greatly to our continuous growth is our ability to fully comprehend your needs to ensure our client’s vision is achieved. More often than not, we come across clients who have been previously ill informed, or feel their initial vision has been changed for the worse through complex communication and poor guidance. We pride ourselves on client service, putting the clients first, whether this involves cost or design remodelling, this is something we do not shy away from. We have the ability to help, support and guide any project. The work we love and enjoy has been appreciated by our clients who are at the core of everything we do. We aim to provide a professional, stress free service to a large client range. Ranging from extensive construction works, to the more popular renovations and space gaining projects.